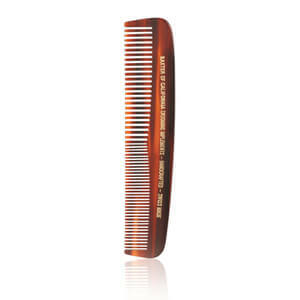 Keep beards trim and tidy with the Baxter of California Beard Comb. Hand crafted using a 12 step manufacturing process where durable cellulose acetate sheets are layered and applied, the luxurious model and specification of this brush means application and use will feel elegant and smooth, allowing hair to be kept in styled, pristine condition. 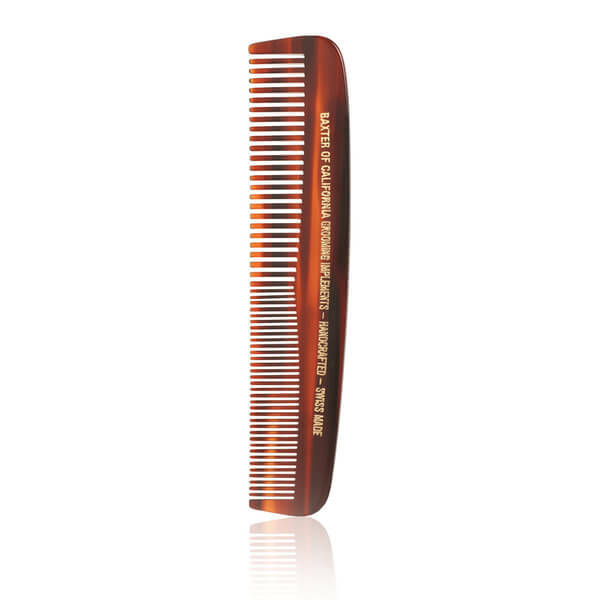 Use regularly, brushing in a downwards or sideways motion to obtain a shaped, sleek look.